Bainbridge planning officials have approved the site plan for a 36-unit apartment building, plus an adjacent building with six townhomes, on Wyatt Way NE. The builder of the new housing units, Madison Avenue Development, has been seeking permits for the project since June 2017. It will be built on an L-shaped property at the corner of Wyatt Way NE and Madison Avenue. The land is currently vacant, and project plans call for two buildings, with the smaller one sitting just south of the Madison Avenue Tot Lot. The larger building, with 36 apartments, will front Wyatt Way NE. The design of the project, called Wyatt Apartments, was created by Cutler Anderson Architects. “Buildings will be designed to exceed required energy performance standards. Landscaping will be primarily native plantings, with trees along public frontages and where used for screening to be larger sizes than required by code to accelerate their scale and screening benefits,” according to the narrative of the project on file with the city. A traffic impact analysis prepared by the consultant firm of Transportation Solutions, Inc. of Redmond estimates the new housing will generate 274 new daily vehicle trips on city streets. Parking will be placed behind the building that fronts Wyatt Way NE and will not be visible from the street. Access to the new development will come from Wyatt Way NE. 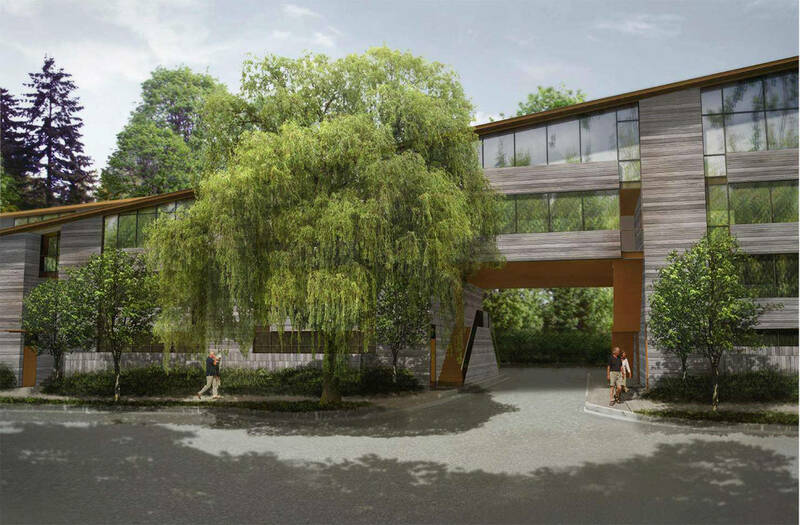 The city of Bainbridge Island approved the site plan for the project on July 9. The decision becomes effective 14 days after the decision was issued, or after July 23.